The Friends of Newbald School (FONS) brings together parents, teachers and others to raise money, to support the school and make a difference for the children. We provide the opportunity for everyone to work together towards a common goal and we are open to all volunteers even if they only have a small amount of time available to get involved. As a “Friends of …” group we are wider than a normal PTA in that past pupils, grandparents, members of the local community or parish can become members (as deemed appropriate by the committee) as well as all parents, carers and guardians, teaching and non-teaching staff at the school. To run social events for parents and children; providing an opportunity for people to meet and get to know each other and have fun! Gemma Bromley is the new Chair of Fons. She brings great enthusiasm to the role and is keen to raise awareness of the group and find new and exciting ways to raise money for the school. She is very open to ways in which events could be improved and to introducing new events that people think would be nice for the village. Click here for the latest news from FONS and details of all the current committee members. You can contact Gemma on 07595456727 or gemmabromley@hotmail.com. All the events organised by FONS will be listed on the community calendar as and when they are organised. – www.newbald.com/calendar. 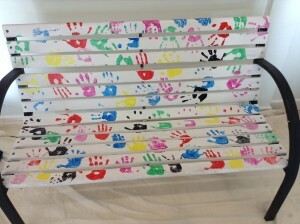 One recent project is the creation of a “Friendship Bench”. It was felt by the children that it would be nice to have somewhere to go to if they felt they didn’t have anyone to play with at play times. 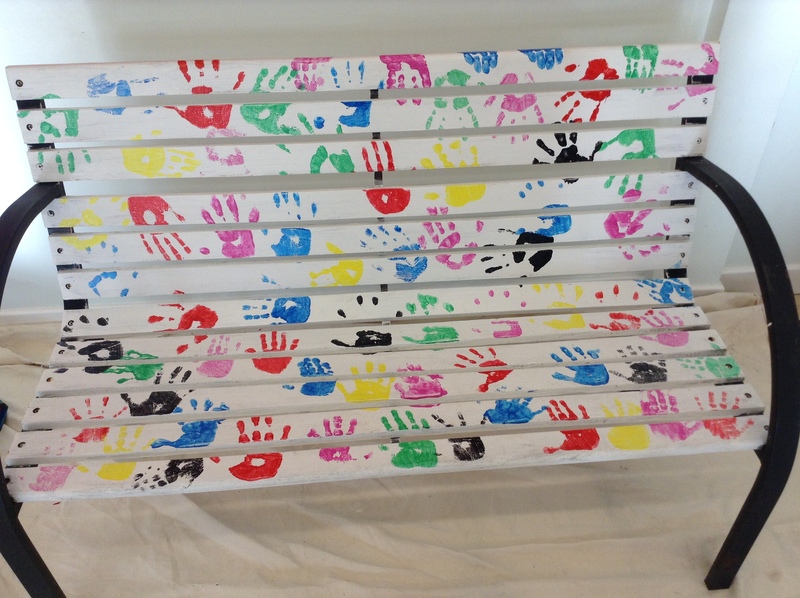 FONS and School worked together by upcyling an old school bench by sanding and priming it, then all the children from the school made their handprint on the bench to make it their own. It is now ready to be used by the children and we hope it will be used for many more years. FONS recognises that parental involvement in school can be a great boost to your child’s experience of school and therefore their achievement. If you would like to get involved or find out more about what we do please visit the school office or contact Gemma Bromley on gemmabromley@hotmail.com.